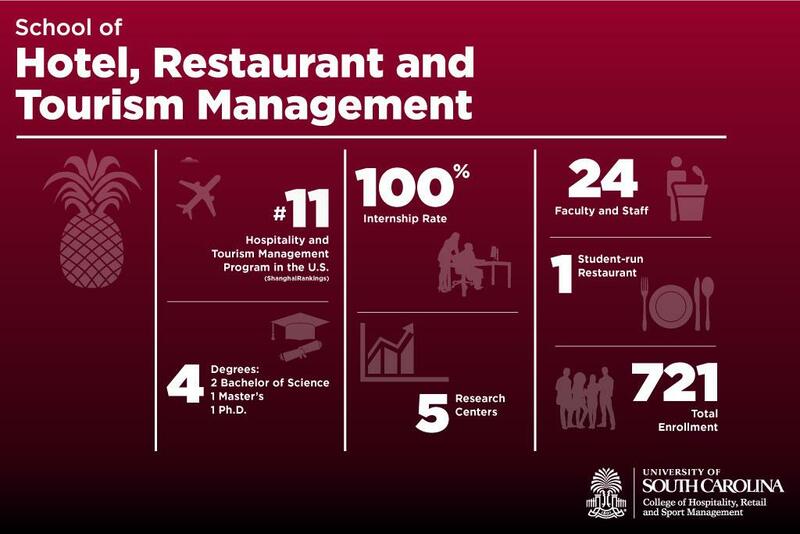 Founded in 1962, the College of Hospitality, Retail and Sport Management is one of 14 degree-granting colleges and schools at University of South Carolina in Columbia, South Carolina. Vision: A powerful learning arena where passionate students, teaching excellence and industry leaders come together to advance the world’s customer experience industries. The college's mission is to prepare the next generation of leaders in our fields by integrating experiential learning, teaching excellence, impactful research and industry collaboration. We do this across a dynamic, highly synergistic blend of academic areas dedicated to the industries that ultimately create and improve customer, guest, fan and patron experiences around the world. 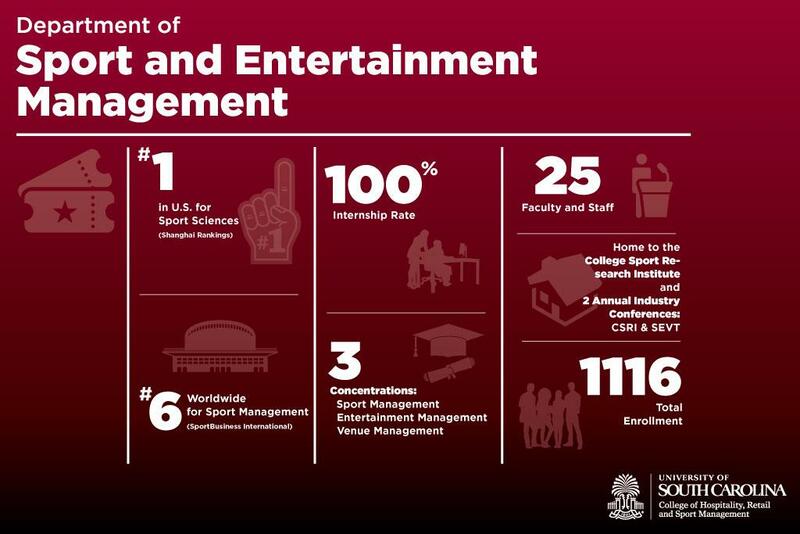 Home to more than 2,500 students, 100 award-winning faculty and staff and with more than 20,000 alumni around the world, HRSM is a passionate and diverse community of lifelong-learners, scholars, leaders and entrepreneurs. In 2017, HRSM increased faculty research productivity by more than 50% with more than 120 peer-reviewed journal articles and more than 135 academic presentations around the world. All statistics and rankings are from the most recent available academic year.